I love, love, love subscription boxes. I remember last summer when I first started stalking bookstagram accounts, I was seeing OwlCrate boxes randomly show up on my feed…and I thought to myself, “I need that in my life”. I signed up for their waiting list, which I was on for a solid month and a half before I received that glorious email: Subscribe Now! And subscribe I did. I have been subjected to several books I would never have picked up on my own, and that I would classify as being ‘outside of my comfort zone’. Whether or not I have enjoyed all of them is irrelevant. It is about broadening my reading horizons, and I love this. Bookish merch for #bookstagram photos. ‘Nuff said. Letters from the authors of the book featured. This is probably my favorite part about the box. They feel so much more personalized and put together. It makes my heart happy to be reminded that there are real people who put together these books and boxes. 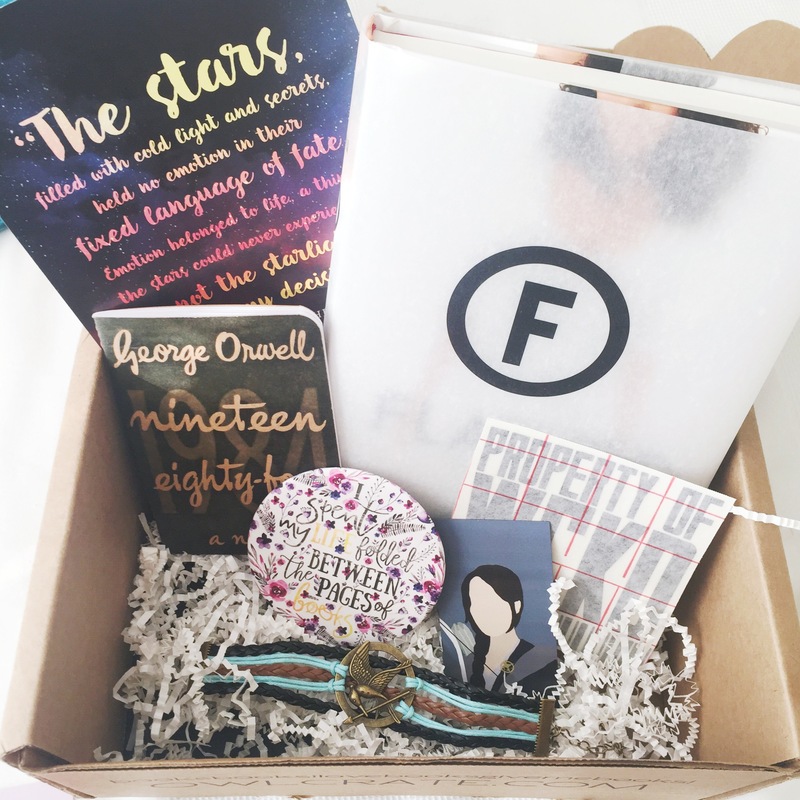 So without further ado, I present the April OwlCrate box: dystopia!